Being shown my room was a really weird experience because, downstairs, the bar and restaurant were immaculate, exactly as shown and described in the copywriting on the website. So was the food, sourced locally; they even own their own farm – wow! And I don’t doubt that the bedrooms shown on the website were equally as impressive as their photographs. The trouble was that the room I was allocated wasn’t. It was awful. Paint that looked as if it had been applied by a 5-year old, wallpaper peeling off the walls, an ancient window that wouldn’t open and which overlooked a fire-escape, gloomy lighting and a strong smell of sewerage. I asked to be moved, but the second room was just as bad as the first except the sewerage smell had been replaced by cigarette smoke. 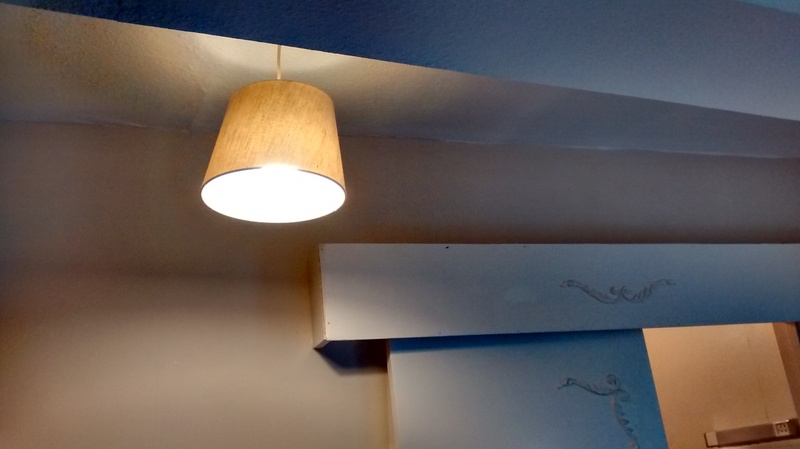 The bedside lamp wasn’t working and was falling to bits – and the bathroom suite looked as if it hadn’t been changed since the 1970s. And, like the previous room, there was this all-pervading gloom from low energy lightbulbs; not a bright halogen light in sight. The third room was just as gloomy as the other two with a similar nondescript outlook through ancient net curtains and an elderly window that wouldn’t open plus a strong smell of toilet freshener. And it was so cold! I was too embarrassed (and polite!) to request a fourth change and so spent a depressing evening within those gloomy four walls. Judging from the reviews on TripAdvisor I wasn’t the only guest to be surprised at the quality of the rooms. Especially as some customers were paying quite a lot for their accommodation. I’d been ‘lucky’, I’d got a last-minute deal on Laterooms.com. Really and truly, it’s not good practice to lure guests with snazzy photos and then hand them something massively inferior, even if you do mention that the photographs are of ‘suites’ i.e. not ‘ordinary’ bedrooms. In my opinion, a hotel website should show photographs of all their rooms so customers know what they are getting i.e. Suite, Superior Room, Standard Room or whatever.